George Washington Finley Harper was born on July 7, 1834 at Fairfield Plantation in Wilkes County, North Carolina. He received a Classical education in the area schools and entered Davidson College in 1855, graduating in 1859. Following college he returned home to help his father who was in the merchandise business. Harper was serving as County Register and Justice of the Peace when the Civil War started. He waited until 1862to join the Confederate Army and was promoted to first lieutenant of Company H, Fifty-eighth North Carolina Regiment. He first saw action fighting Union forces near Cumberland Gap, Tennessee and also participated action in Kentucky. He later became Captain of his unit. During 1863 the Fifty-eighth Regiment joined the Army of Tennessee and in September of that year he lead his troops in the Battle of Chickamauga, where one-half of his regiment was killed or wounded. In the spring of 1864, Harper was wounded in the Battle of Resaca. He was sent home for his wounds to heal. He rejoined his regiment in the fall 1864 and upon returning to duty found that he had been promoted to the rank of major. He fought in the Battle of Franklin, Tennessee and after that battle he was put in charge of transporting 1,700 prisoners to Corinth, Mississippi. 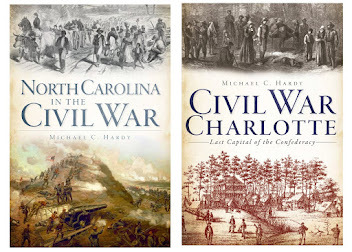 In the spring of 1865, Harper witnessed the Union forces making their big push through Georgia, South Carolina and North Carolina. He was at Bentonville, North Carolina for the last major battle of the war. Harper was with General Joseph E. Johnston when Johnston surrendered to General Sherman on April 26, 1865. Following the war, Harper returned to Lenoir, a town his father had established. Here he entered public service to help mankind. His political activities included a term as County Commissioner, member of the North Carolina General Assembly and Mayor of Lenoir. Harper died on March 16, 1921 and is buried in the Bellview Cemetery in Lenoir. This article is misleading in so many different ways. It totally leaves out that Harper was a member of Vance’s Legion, before joining the 58th NCT. The 58th NCT was not really involved in fighting at Cumberland Gap. The regiment was garrisoning the Gap after the Federals pulled out. Any fighting was a bushwhacker here or there taking pot shots at passing troops. The 50 percent loses at Chickamauga is not right, and Harper did not lead the regiment. When he returned from his leave regarding his wounding in the fall of 1864, he did not find out he had been promoted to major. The promotion did not happen until April 1865. Neither Harper nor the 58th NCT was at the battle of Franklin. They did help transport prisoners from Tennessee, through north Alabama, and into Mississippi, but Harper was not in command of the expedition. And, Federal troops did not push through Georgia in the spring of 1865. That would be the fall of 1864. In all of Harper’s post war contributions, they left off his most important – he helped start the furniture industry in western North Carolina, not to mention that he started a bank, worked on getting a railroad into Caldwell County, and was a trustee at the hospital in Morganton, and Davidson College. Geez, makes me wonder what else is wrong with some of their articles. Good morning folks! There was an article this morning (or maybe Saturday – I found it this morning) on the excavations being conducted next month at Brunswick Town/Fort Anderson State Park. Check out the article here. Many people across the nation are mourning the loss earlier this week of the eminent historian John Hope Franklin. The Raleigh News and Observer has a great piece on him, which you can read here. Well, how about a look around to see what is going on. A week or so ago, the Civil War Preservation Trust announced its top ten endangered battlefields list. There were no North Carolina sites on this list, but several sites, like the Wilderness and Gettysburg, where North Carolina soldiers fought. You can check out the press release here. However, of the 15 additional sites at risk, three of those were in North Carolina. 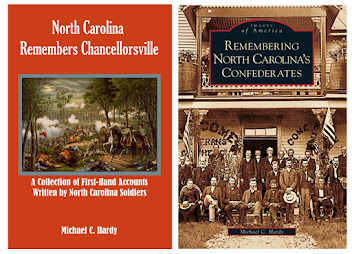 They include the battlefields of Aversboro (March 16, 1865); Morrisville (April 14, 1865); and the Yadkin River Bridge (April 12, 1865). The first two are connected the Sherman’s Carolina’s campaign. The last, to Stoneman’s Raid. You can learn more by clicking here. 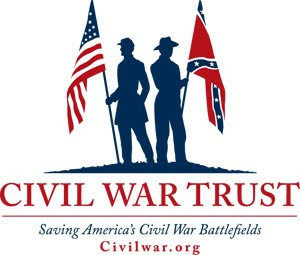 Everyone should be supporting the Civil War Preservation Trust in the work that it does to preserve the battlefields where our ancestors fought. There are have been several recent articles on events at Bentonville, commemorating the 144th anniversary of the largest battle in North Carolina. You can check out articles here, here, and here. There is an article in the Salisbury Post on the upcoming Prison Symposium, coming up in April. You can read it here. Also, there is an interesting article on a reenactment in Rockford (near Mt. Airy), recently, in their local newspaper. You can read the article here. And finally, there is a great article about the two Curtis brothers in the 1st North Carolina Volunteers/11th North Carolina State Troops, in the Kingsport Times-News. The Curtis brothers were from Wilkes County, and many of their war-time artifacts are on display at the Carroll Reece Museum. You can read the article here. During the war, the numerous hollows and caves in western North Carolina provided numerous places for deserters (from both armies), conscript dodgers, and dissidents to hide out. Probably one of the most famous is Linville Caverns, which I wrote about here. This past Saturday, I had a chance to participate in the Avery County Community Day, held at Cranberry (the site of an iron mine during the war). I like attending such programs – I always seem to come away with some little bit of knowledge that I did not know. This day was not to disappoint. In conversing with the lady at the booth next to mine, I learned of a place called “Booger Den.” According to people she grew up with, this was a shallow, but large, cave that Civil War soldiers hid out in during the war. That is about as much of the story as I currently have, besides its location – on a trail in the Pisgah National Forest between Roseboro and Grandmother Mountain here in Avery County. I see a hike coming in the near future. I might never find out who hid there during the war. It might have been used by all sides at different points, maybe even by the Blalocks. So many times that is how these stories come. I’ll give one other example, from Avery County. I’ve been told by several people that there was a skirmish during the war in Miller’s Gap. Miller’s Gap is on the way into Newland, close to where you turn off to go to the high school. But that is all of the story that I can get – just a skirmish at Miller’s Gap. And yes, it probably was not much: someone standing behind a tree shooting at some else who was walking up the road. That is so much of the war in Southern Appalachia. I had to go to a meeting last evening, and on the way there, I was pondering this question: why were not the majority of Unionists in western North Carolina forced to flee? In my research for the Brooksville Raid book, I learned that many of those who lived in Hernando County (Florida) who possessed Unionist sentiments were driven from their homes by local Confederates. Many of them fled to Key West and joined the 2nd Florida Cavalry (US). The primary reason of the Brooksville-Bayport raid was to destroy the homes and property of those loyal Confederates who had driven the Unionists from their homes. Here in western North Carolina, there were families who were just as loyal to the Union, but it seems that we seldom hear of them being flat out driven from their homes (or burned out) during the war. Sure, it does happen – Colonel Palmer’s (58th NCT) home was burned toward the end of Kirk’s raid. But why did it not happen more often? I think, for the time being, I have come to this conclusion: the reason why more families were not driven from the area is that people here were all kin, were all related. Like many other people, my ancestors first came to this area (east of the Blue Ridge) in the 1750s, and after the American Revolution, moved to the west side of the Blue Ridge. They lived in small, isolated groups, and due to the small number of families in the area, quickly became related through marriage. So the people who lived in the hollow over from yours might be kin, and while they might profess feelings for the other side, they were still kin. In contrast, Florida had only recently been open to settlement prior to the start of the war. And while it was also sparsely settled, not enough time had passed for the families to have developed strong inter-family relationships. What do you think? I really don’t have anything to prove this, just observations. For our next county survey, I thought we would look at Henderson County. In 1838, the southern part of Buncombe County was taken to create Henderson County. The county is named for Leonard Henderson, Chief Justice of the North Carolina Supreme Court from 1829 to 1833. The county seat, Hendersonville, is also named for Henderson. In 1860, Henderson County had a total population of 10,448, including 1,382 slaves, and 85 free blacks. The county boundaries also contained most of present-day Transylvania County. In the 1860 presidential election, Henderson County cast 425 votes for Breckinridge, 496 for Bell, and 4 for Douglas. William M. Shipp was elected over Alexander Hamilton Jones to represented the County during the Secession vote in May 1861. There were actually threats made that men voting for Jones would be shot. Jones later enlisted in the Federal army, and served as Henderson County’s representative at the state convention in 1865, and in the United States Congress. According to Terrell Garren’s Mountain Myth, Henderson County supplied 1,296 men to the Confederate army and 130 men to the Federal army. Men from Henderson County served in Company I, 16th NCST; Companies A and H, 25th NCT; Company G, 35th NCT; Company G, 56th NCT; and Company D, 60th NCT. On the Federal side, Henderson County men served in the 2nd and 3rd North Carolina Mounted Infantry (US). 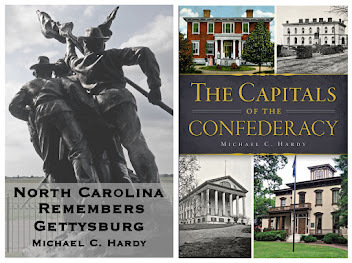 Probably the most interesting aspect of Henderson County’s role in the war actually stems from the area being used as an antebellum summer home for many people from the South Carolina low country. Probably the best example would be Christopher G. Memminger. After growing up in South Carolina, Memminger bought land and built Connemara, his summer home in 1838. Memminger would later become the first Secretary of the Treasury for the Confederacy. He served until 1864, when he resigned. Memminger was replaced by another part-time Henderson County resident: George A. Trenholm, who owned Solitude. It is believed that Trenholm was the model for Rhett Butler in Margaret Mitchell’s Gone with the Wind. Numerous accounts of bushwhacking in Henderson County survive. We will focus on two main events. On June 10, 1864, Andrew Johnstone was eating dinner with his family when six men showed up at the house, Beaumont, near Flat Rock. After eating dinner with the Johnstones, one of the “bushwhackers” shot and killed Andrew. His thirteen year-old son retrieved the pistol that Andrew was attempting to draw, and then killed two and wounded another of the attackers. Later, Company E, of the 64th North Carolina Troops was sent to Flat Rock to help maintain order. On April 23, 1865, Some of Stoneman’s men arrived in town, spending the night and quartering their horses in a part of an unfinished college building. There is much to see in Henderson County today when it comes to the War. Connemara was later purchased by Carl Sandburg, who wrote a Pulitzer-winning biography on Abraham Lincoln. The house has been preserved and is a part of the National Park Service. If you visit the area, also check out the St. Johns in the Wilderness Episcopal Church Cemetery, where Memminger is buried, along with several other officers. This is one of the best cemeteries in all of western North Carolina. If you have time to visit one other place, make sure it is the Henderson County Museum in Hendersonville. Located in the old courthouse, the museum has a fantastic Civil War display. On the grounds of the courthouse are numerous monuments, including a Dixie Highway marker, and a Confederate monument, erected in 1903. Also, in the northern portion of the county, in Fletcher, near Calvary Episcopal Church, is a group of monuments to Robert E. Lee, Zebulon Baird Vance, Daniel Emmett, Francis Key Scott, and O. Henry. Folks – I have a book signing this evening – Spruce Pine Public Library in Mitchell County, 7:00 pm. I have another at Mayland Community College on Wednesday from 11:30 am to 12:30 pm. I hope to see you there. Folks – I have finally got the 58th NCT back to the old North State. As of last night, the regiment had just marched through Smithfield. The date – March 15, 1865. I will probably spend the next week getting ready to write about the battle of Bentonville, going over primary and secondary sources. The Round Table Discussion at the Caldwell Heritage Museum on Monday evening was a smashing success. There were twenty-two people present, and we spent two and a half hours talking about many different aspects of the war. The folks in Caldwell are already talking about holding this program again in the near future. If you are interested in doing this type of program in your area, please drop me a line. I would love to help. To date, I’ve helped with similar programs in Watauga, Avery, Mitchell, Yancey, and now Caldwell counties. There is an interesting article this morning on Channel 9, out of New Bern, Washington, Greenville, and Jacksonville. You can read the article here. The gist of the article is this: in times of tight economics, do we need to spend money on the SCC Neuse project in Kinston? The reporter is right. We are in tight economic times. If you are not experiencing it, you must live further up the hollar than I do. I think the real question is this: why have we not already finished this project – a decade ago? I don’t mean to rant off topic here, but there is much that is being spent these days that has no meaningful impact on our society; that it is astounding (and sad). I'll give just one example: we are getting millions in federal dollars to fix old roads and build new roads. And, granted, some of these are worthwhile projects. But at the same time, our schools are being forced to cut thousands of teachers because we don’t have the money to pay their salaries. THAT IS NOT RIGHT! We already have students that have no knowledge of history or the arts, because there is not money in the system to teach those subjects. I could rant more here, but I won’t. I will say that it is not only in the elementary and secondary grades. Our community colleges, those schools that are trying to retrain people who have lost their jobs, are being forced to do with less, including teachers, as are our colleges and universities. Maybe we should stop some of this road construction and shore up our educational institutions so in the future, we will have enough intelligent people to prevent us from getting into this position again. Of course, I could argue that our educational system needs major reforms, but, I guess that is why we home school our kids. And no, we have not cut history or the arts here. Should we be funneling funds to the CSS Neuse project? As I said, it should have been done a decade ago. You can learn more about the CSS Neuse here and here. Since I am going to be in Caldwell County tonight, I thought I would brush up on my Caldwell County history by writing this sketch of the area during the war, a part of my ongoing county-by-county study of the state. Caldwell County was created in 1841 from portions of Wilkes and Burke Counties. It was named for Joseph Caldwell, first president of the University of North Carolina (there was only one of them at that time). 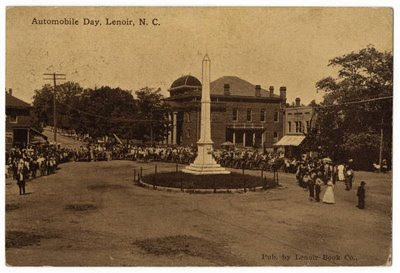 The county seat is Lenoir, named for Gen. William Lenoir, a patriot during the Revolution and early settler. In 1860, Caldwell County had a total population of 7,497, including 1,088 slaves and 114 free blacks. In the 1860 presidential election, the men in the county cast 229 votes for Breckinridge, 499 for Bell, and 9 for Douglas. Edmund W. Jones represented the county during the secession convention in 1861. Caldwell County men joined a variety of regiments. They include Company B, 11th NCST; Company A, 22nd NCT; Companies F and I, 26th NCT; Companies E and H, 58th NCT. A large number of men also served in the 3rd NC Mounted Infantry (US). Most people are familiar with the role of the 26th North Carolina at Gettysburg. Of 800 rifles the regiment mustered on July 1, 1863, 588 of those became causalities. The regiment was again in the forefront of battle on July 3, as the Confederates charged the Federal position on Seminary Ridge. At the end of the day, the regiment had lost another 120 men. Every member of Company F (from Caldwell County) was wounded or killed, a loss rate of 100 percent. Of course we could also talk about the exploits of the 58th NCT, but I am sure some of you are tired of hearing about them. During the war, Caldwell County had a ladies aid society that manufactured or collected materials for soldiers at the front lines. We could probably boil down the war-time military actions to two subjects: the Blalocks and Stoneman’s raid. Keith and Malinda Blalock live in Watauga County, to the north, at the start of the war. However, they had numerous relatives in Caldwell County. And when the war came, they joined the 26th North Carolina. It was the Caldwell County militia that chased the couple of Grandfather Mountain after Keith recovered from his self-inflicted poisoning (don’t let Steven’s Rebels in Blue mislead you – the home guard did not yet exist and Bingham was still in the regular army). It was into the Globe section of Caldwell County that the Blalocks did most of the “scouting” during the war. But, while the couple are associated with Caldwell County, they, at least after they married, never lived in Caldwell County. I’ve written much about the Blalocks on this blog. You can check out posts here, here, and here. War really came home to Caldwell County in early 1865. After leaving Boone, Stoneman split his force, with part of it heading east into Wilkes County and the other part heading south. On March 30, the part of the force heading south burned a textile mile in Patterson, north of Lenoir. They then moved north east. One popular story is that they were going to burn Fort Defiance, the home of Revolutionary War patriot William Lenoir. However, when the Union commander saw the Masonic emblem on Lenoir’s grave, they spared the house. The truth of the matter is probably this. They were on the north side of the Yadkin River, which was swollen by rains, and were unable to get across. After Stoneman left the area, a separate brigade of Federals moved into neighboring Watauga County to guard the mountain passes in Stoneman’s rear. 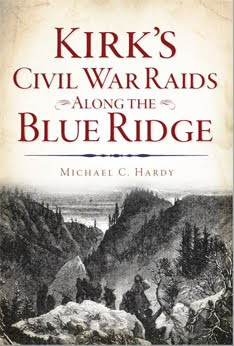 One group of Federals was posted in present day Blowing Rock, and they led numerous raids into Caldwell County. On April 15, Stoneman and his band returned to Caldwell County. They brought numerous prisoners which they quartered at St. James Episcopal Church in Lenoir. They used the church because it had a fence around it. St. James Episcopal Church still stands today. I had the privilege to speak at a dedication of a Civil War Trail Marker there almost a year ago. We also dedicated one at Patterson. You can see an article about that here. If you are going to visit the area, make sure to visit the Caldwell Heritage Museum in Lenoir, and Fort Defiance in Happy Valley. Two other notes. Caldwell County has a Confederate monument in Lenoir. It was dedicated in 1910. It used to sit in the middle of the road, but was later moved to a corner lot. Why? It kept getting hit. Also, Brig. Gen. Collett Leventhorpe moved to the area after the war. He is buried in the Happy Valley Cemetery, not far from Fort Defiance. I hope to see you at the museum tonight. I saw this morning in the Asheville Citizen-Times that the Southern Appalachian Nature Conservatory is helping save more land next to the Vance Birthplace in Buncombe County. Three cheers and a tiger for the Conservatory. You can read the article here. Metro Magazine has an interesting article on the origins and history of Durham. You can find the article here. There was an article in the Tulsa World about Capt. James T. Roseborough of the 6th North Carolina Troops. The article can be found here. 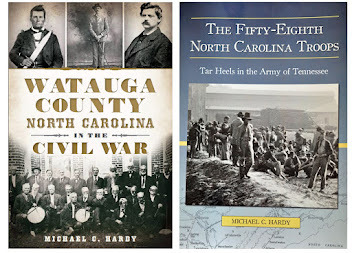 The Asheville Citizen-Times also ran an article about a new book on the 25th North Carolina Troops, released recently by McFarland and Company. The 25th NCT was mostly a western North Carolina regiment. You can learn more by checking out the article here. Also, I received the latest issue of America’s Civil War a couple of days ago. There are a couple of Tar Heel mentions. 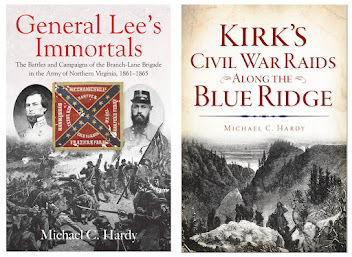 In one piece, Harry Smeltzer, from the Bull Runnings blog, picks six books off his shelf and “ranks ’em” One of the books that he picks is Victims: A True Story of the Civil War. This book, which Smeltzer likes, is a history of the Shelton Laurel Massacre, which took place in Madison County in 1863. A page over, Gordon Berg reviews the 2003 film Cold Mountain. Berg has two interesting quotations about the movie. The first is from Gary Gallagher “Cold Mountain can best be understood as a feminist antiwar film that turns almost every Lost Cause convention on its head.” I could go with that. It isn't that the events didn't happen. All of the horrible things in the book and movie of Cold Mountain happened (and were chronicled in other books, which Charles Fraiser used liberally without much credit to their authors), but several are skewed (like Inman's fate) for dramatic reasons. The second quote is this: “As local historian John C. Inscoe recently wrote ‘Cold Mountain´ indeed depicts a war and a people that [Rovert E.] Lee would probably would not have recognized; neither gods not generals play much of a role here.” Hmmm, Berg has relegated the eminent John C. Inscoe, Professor of History at the University of Georgia, to the role of a “local historian.” Wow, I’m now in good company, and I don’t even have a Ph.D! I wrote all of that to tie this in. There is a review of a new book by Steven Woodworth entitled Decision in the Heartland: The Civil War in the West. According to the review (also by Gordon Berg), the books is a 138 page “supersonic” view of the war in the Western Theater. Having spent a lot of time recently in the Western Theater of the war, we really don’t need a new overview. 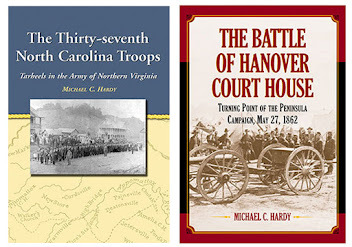 What we need is a set of books that explores those battles from February 1864, through, say October 1864. A good set of books, like Gordon Rhea’s tomes on the Overland Campaign, on battles like Dalton, Reseca, New Hope Church, Dallas, etc. Ok, enough of a rant. I’m going to work on the 58th NCT book. They are just about to line up in the streets of Columbia, South Carolina. “During the fight, on Saturday morning they took our brigade from the front and marched us off in files of four. We marched until three or four o’clock in the evening, then they stopped us in the road in the rear of the enemy. There was a skirt of timber between us and the enemy, and they formed us in line of battle and gave us orders to be perfectly quiet, until we got in plain view of the enemy before we fired. When we got in view of the enemy they seemed to be having a picnic, some were cooking, some were skinning a beef and some playing, the first volley we shot routed them, and we followed them until dark, and then we laid down in line of battle. Sunday morning the officers came and called us to attention. We heard the enemy building breast-works all night and we charged them Sunday morning. Peter Turnmire would not return to the army until November-December 1864. He was captured five months later at the battle of the Wilderness, and spent the rest of the war in a POW camp. George Triplett was wounded at Ox Hill on September 1, 1862, and was later discharged the following February due to disability from his wounds. Folks – sorry about the lack of post this week. We took off Friday afternoon to spend a couple of days with the kin folks in Kentucky. I got to attend the Civil War Cavalry conference in Knoxville on Saturday. It was good to spend a couple of minutes talking to Jim Ogden from Chitt-Chatt. Also speaking that day were Dr. Earl Hess and Dr. William Piston, among others. Saturday night, I was back in Williamsburg, Kentucky, watching a production of Hello Dolly at the University of the Cumberlands. On Monday, we headed south to the American Museum of Science and Energy at Oak Ridge for a school field trip. We were planning to head home after that, but considering our home here in western North Carolina had a foot of snow, we headed back to Kentucky, which had no snow. Yesterday, we finally got out of town, back to Newland right after lunch, where we met a dear friend who ferried me up the mountain to get my truck (thanks Dennis – I was dreading that walk). There is still a lot of snow, but they say that it will get above freezing today. We will be back to regular programming here shortly.